Nathan has been a big help in John’s class. 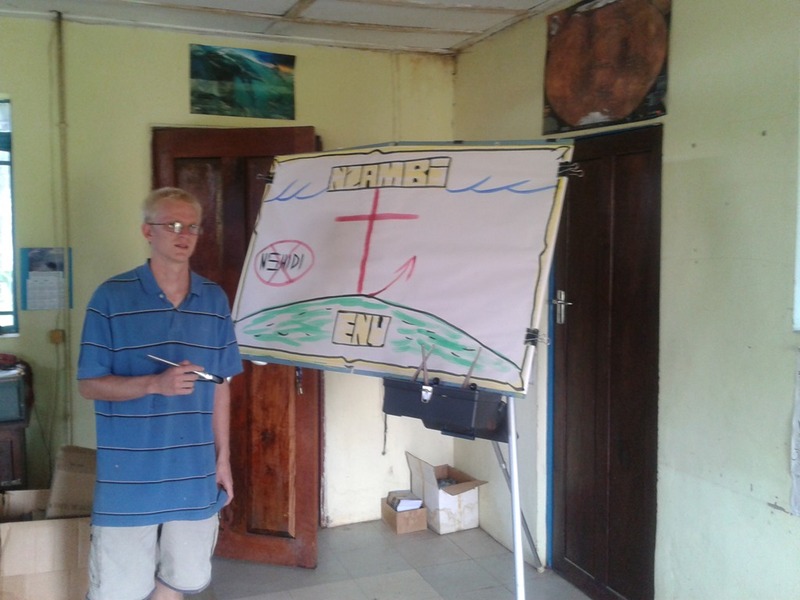 We are teaching our Zambian friends in the class how to paint on the sketch board and illustrate the Gospel. We have the opportunity to visit in the Out-Patient department of the hospital to preach the Good News. Then after that, we can visit the wards sharing the Word with the patients. Unfortunately today there was so much rain, that no sick people came to the Out-Patients. Sometimes funerals also prevent people from coming. Pray that Satan would not get his way in interrupting these outreaches. 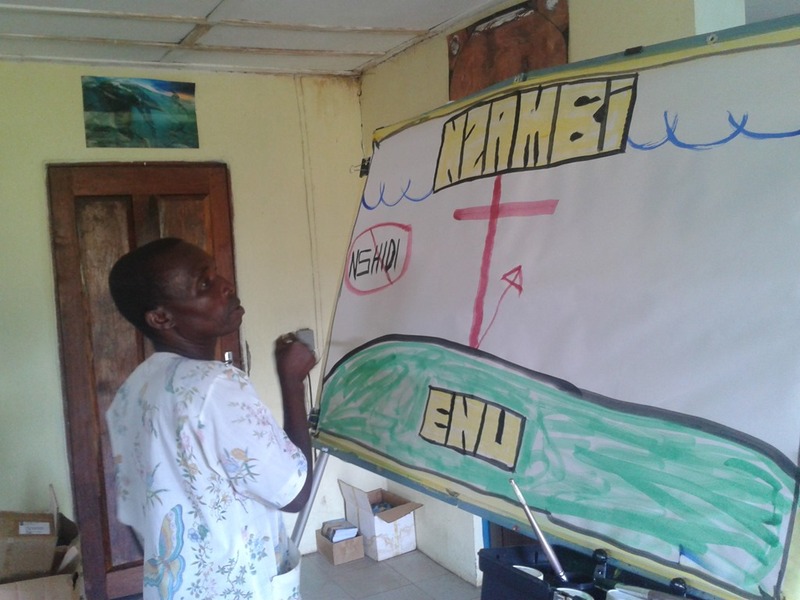 Enoch is doing a great job at the paint board, considering the fact that none of our Zambian friends in the class have ever done any art work in their lives! Pray that they will be able to use this tool in presenting the Gospel, and for God’s glory. This entry was posted in Discipleship, John. Bookmark the permalink.